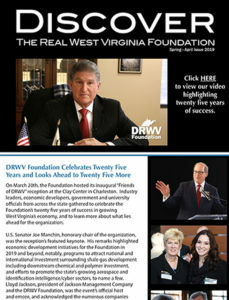 More than twenty years ago, I gathered a small group of the state’s business leaders together to create the Discover the Real West Virginia (DRWV) Foundation; an organization formed to grow our state’s economy, and open up West Virginia to the world. Since then, I have devoted a considerable amount of time and effort toward this goal, and I want you to know that I remain very committed to West Virginia’s economic future and the future of this organization. 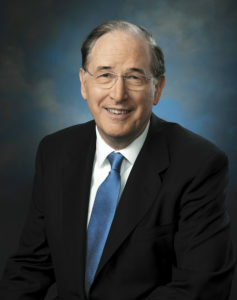 At the Foundation, we have taken bold steps to develop national and international relationships. We traveled abroad and brought ideas home. We began the search for entrepreneurs with ground-breaking ideas. We helped others to discover the “Real” West Virginia. 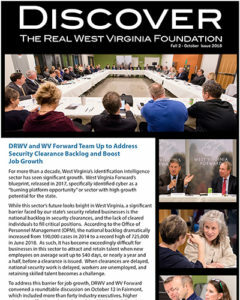 The DRWV Foundation draws its strength from the support of West Virginia’s businesses and its leaders who have given generously of their energy, ideas and resources to ensure West Virginia’s success through the support of the Foundation’s activities. Today, the organization continues to chart a new course in economic development, and I am delighted to have Senator Joe Manchin join the organization as Honorary Chair. Senator Manchin brings years of business and economic development expertise to the Foundation’s efforts, and I look forward to working with him to advance its important mission in the years to come. I believe that the DRWV Foundation makes immense contributions to economic development and the creation of jobs in West Virginia. Success comes through persistent effort, and with your help we can continue to pursue our goal to build a brighter future for our state.